The Port of St. Maarten announced that cruise passenger traffic was up 15 percent for the first half of 2018, for the period ended June 30. 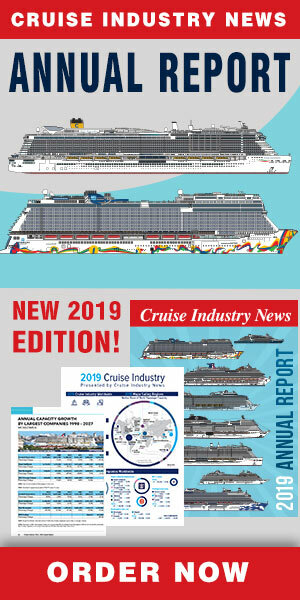 733,666 cruise passengers visited the island between January and June on 230 cruise ship calls. Port officials said they expect a stable off-season and even stronger 2018-2019 cruise season, similar to pre-Hurricane Irma numbers in 2017. The month of March has the highest number of calls with 55 and 137,375 cruise passengers cruise passengers, followed by April with 39 calls and 128,714 passengers; the months of May (120,907) and June (120,266) saw more than 120,000 cruise passengers for each month calling at the port via 30 and 27 ship calls, respectively. “Starting in October, destination St. Maarten will see an increase in the number of European cruise lines that will call at the port. This will further add to current forecast numbers for the high season bringing us to the level of cruise calls and passengers before the hurricanes of September 2017. At that point in time cruise sector recovery would have taken a year. We commend the staff of Port St. Maarten for all their hard work, diligence and resilience in helping the port recover," said the port, in a statement.